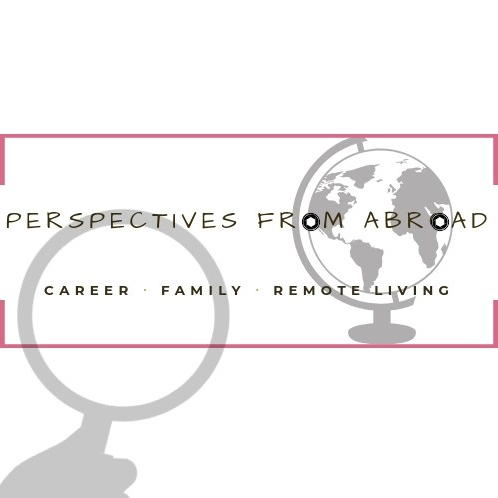 Perspectives from Abroad – Career. Family. Remote Living. Hi, I’m Rhena! I’m a first time trailing spouse from the U.S. currently living in Bangkok, Thailand. Together with my husband and two small children we are adapting to life in Asia and exploring as much of the region as we can. Share in my journey figuring out how to live overseas for the first time and take a path that reflects my life’s priorities. I started Perspectives from Abroad to share my (incredible to some, insane to others) exploration of a new path after stepping away from the rat race that can be American living. It was a surprisingly easy decision to make when we considered the opportunity to have a bond strengthening family adventure during the early years of our children’s lives – a period that I felt I was largely missing out on. What wasn’t easy was taking a step back from a career that I’d worked hard at since college. So after ensuring that my family was settled into our new life – and between tantrums and play dates – I am now slowly getting back into the workforce. Learn more about me and my journey here. I hope that by exposing my triumphs (along with my failures) and travels, you’ll find a new place to add to your travel bucket list – and maybe even the courage to make a move abroad as well. I also love connecting with other expats and trading stories, so please feel free to drop me a line!